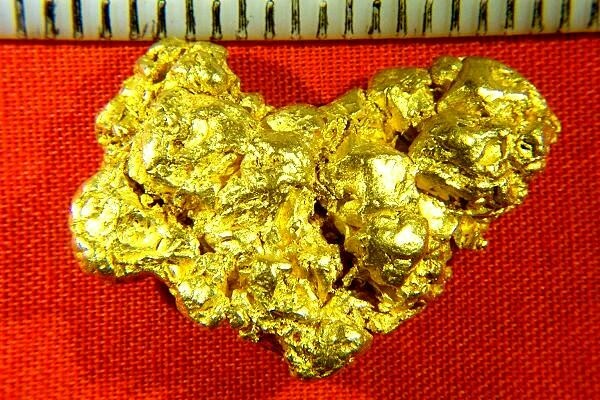 This Natural Australia gold nugget is very rare. It is covered with multiple eroded gold crystals. Under magnification you can see eroded cubes, trigons, and octahedrons, with multiple faceted edges showing. 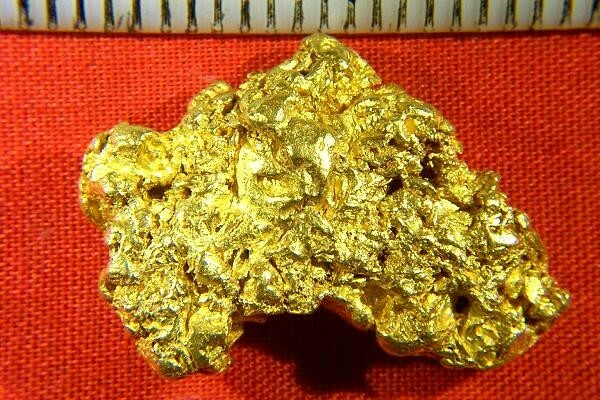 It is extremely rare to see gold crystals in a natural Australian gold nugget. 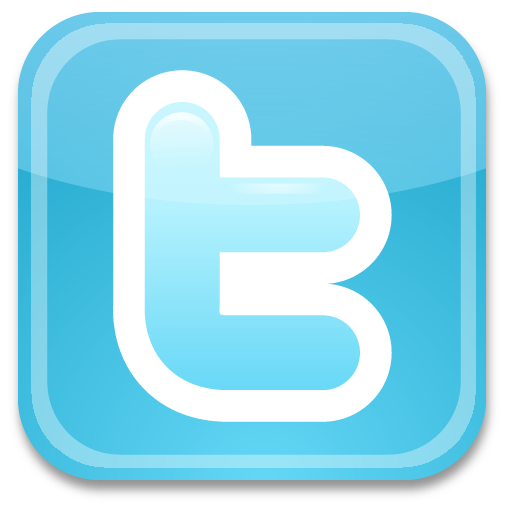 I have a couple of them, but they are few and very far between. Australian gold nuggets are among the purest in the world at 94% to 98% pure gold. The size of this fantastic Australian gold nugget is just under 1.1" (29 mm) long and it weighs 21.1 Grams. It comes with a certificate of authenticity, as all our nuggets do.